Choosing the right inspector could mean the difference between finding hundreds or thousands of dollars in problems — or not finding them at all. 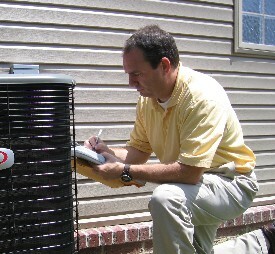 The inspector’s ability to find deficiencies is the most important criteria . Trust me to represent you with sincere integrity and diligence and I will be the right choice. Let me give you assurance that you’ll be glad you found me. Call to schedule your home inspection as soon as possible after signing the purchase agreement. Don’t wait until the last minute. Normally we can accommodate a client’s request within 48 hours. During the busiest times we may require more lead time. Try to consider some alternative time slots in case your first choice is not available. Plan to attend the inspection! Take advantage of this time to familiarize yourself with your new home and its systems and components. Ask as many questions as you like. Our goal is to provide you with as much useful information as possible. Allow about three hours for the inspection process. If you cannot attend please send a friend or family member to act on your behalf. If that is not an option we can forward the report to you and review it over the phone. Read your report thoroughly!! It contains a great deal of valuable information that may impact how you proceed with the transaction. If any clarifications are needed, call us! Make sure your questions are answered before closing.